Amy Wrzesniewski and Barry Schwartz have written an opinion piece in the New York Times about effective motivation (read here). In the piece they distinguish two types of motivation: internal motivation and instrumental motivation. These terms correspond two other terms which are more well-known in the psychological literature. Internal motivation corresponds to autonomous motivation; instrumental motivation corresponds to controlled motivation. They did a study to examine how these two types of motivation affected performance (Wrzesniewski et al (2014). 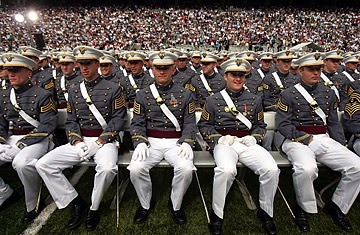 They asked 11,320 cadets entering classes at the United States Military Academy to rate how much each of a list of motives influenced their decision to attend the academy. This list contained 'internal' and 'instrumental' motives. Consistent with findings within self-determination theory, they found that the stronger their internal reasons were the more likely cadets were to graduate and become commissioned officers and the better they did in the military unless they also had strong instrumental motives. The authors conclude that, as managers and teachers, we should help people to focus on the meaning and the impact of work [and learning, I would add] and prevent that people develop instrumental motives.